Musings as I get ready for the next road trip…..
I’ve been a little out of the loop lately- so I apologize for those that I haven’t been on top of e-mails and facebook messages with…. I’ve enjoyed some down time with the family (or up time when it comes to keeping up with the speed of my Zoey Boey Woey!) and have also had a nice stretch of writing time in my home studio. Unfortunately this was also countered with a nasty summer flu. Hopefully that’s gone away and isn’t shared by anyone else in our house! While I was relaxing a bit, I got the chance to watch a dvd that my buddy Tom Kowalski- Chicago gave me. He had a whole bunch of video clips of classic Polish bands at Polkabration with a great soundtrack of classic, live Happy Louie. I’m guessing that most of the stuff was from the 1980s, so figuratively speaking not too long ago—although there was probably some stuff from the 1970s in there too… The crowds were amazing! Not just in the sheer size of the audiences, but in their enthusiasm and overall energy. The bands definitely fed off those audiences too, with very animated performances as well. In other words people were having fun—which is why many of us go out to festivals and clubs for live shows. I think we, as musicians and as audiences, need to remember to enjoy ourselves more at these events…. I know I do everything I can to make sure that we’re having a good time! With that being said, I’m getting ready for the next round of tour gigs. I’ll be heading to NY, PA, MI and CA in the next few weeks for a wide variety of gigs. Peppered amidst the festivals and few club dates are a few “serious” jobs. 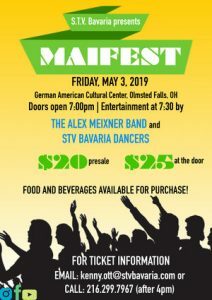 I say serious, because rather than the normal, sweat-drenched, head bobbing, polka mayhem of the Alex Meixner Band—these are more concert like settings, where I sit down and play a program on accordion that blurs the line between ethnic folk-jazz-classical and other stuff. Although I take all of my gigs seriously, these performances present a different challenge that draws on my more academic background in music. Putting all the gigs together, keeps a nice contrast in developing all the sides of my musical personality. I hope you enjoy the shows you get to…. Or that a YouTube shows up that sparks your interest…..